Learn to make and care for your Miniature Gardens! 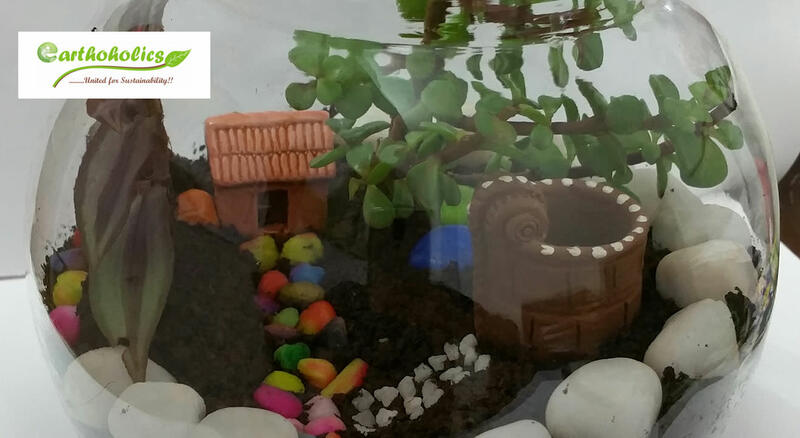 This is the most exciting hands on workshop, which helps you learn the beautiful art of Terrarium Gardening. Hands on Making of Bottle Garden (1.5ltrs glass bottle). Coal, moss, soil mix, gravel and accessories, plants.